A cone-shaped white shade and an aged brass finish come together in modern fashion in the Marnie mini pendant from Mitzi collection. The Marnie large mini pendant from Mitzi collection commands a presence with its bold white shade. By Hudson Valley, this dynamic design shows off a cone that shades the round light source. Metallic details with an aged brass finish lend a modern look and feel to this statement-making addition. Is the 60 watt standard-medium base G40 bulb the one shown in the picture on the pendant? BEST ANSWER: Hi - Yes, the one shown in the picture and included is a clear G40 watt bulb. 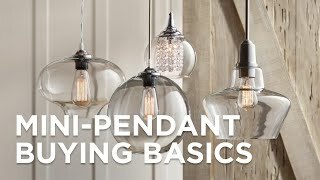 Will this and other Hudson Valley pendants work on vaulted ceiling? BEST ANSWER: Hi, this pendant can be installed on a vaulted ceiling. Majority of Hudson Valley Pendants can be installed on a sloped ceiling but it depends on the item.